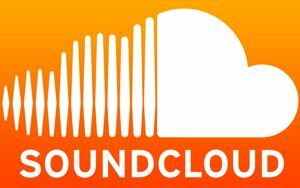 Audio platform SoundCloud has announced a beta podcast release program. SoundCloud has built a large and growing fan base over the past year with its capability to create and upload audio files, and then promote and share users’ sound creations across the web. A number of apps are available for creating and sharing SoundCloud files across various devices and platforms. SoundCloud is now in the process of offering RSS feed capability, making the site of keen interest to podcasters and their subscribers. Podcasters who are interested in taking part in the beta RSS feature rollout are invited to fill out this form at SoundCloud. According to the company’s announcement, current and aspiring podcasters are all invited to take part in the beta RSS program. In addition, “the best and most interesting applications will get a special beta account too so you can really test drive the platform.” A list of current podcasts can be found on the SoundCloud blog. Geez. About time! I have been waiting for soundcloud to implement rss feeds for a long time now. It has take a long time, but it seems like it’s here (in a beta kind of way). I’ve been using a tool for a while that converts them, but to have them on soundcloud is really where it’s at! But you always need a new receipt for every iPhone you want to unlock or? As you said, that you can unlock 5 per customer?